How did Canada’s Justin Trudeau go from ‘sunny ways’ to political scandal? Four years ago, Justin Trudeau rose to Canada’s highest office as the second-youngest prime minister in the country’s history, promising “sunny ways” and a new era of honest government, equal representation and liberalism. Now, Trudeau is entangled in a scandal involving allegations that his office pressured his justice minister to settle a criminal case against a major corporation accused of corrupt practices on three continents — including paying millions in bribes to Libyan officials during the regime of Moammar Gadhafi. As of Monday, two members of Trudeau’s Cabinet have resigned, as has his top political adviser. The ethics commissioner for Canada’s Parliament has opened an investigation, and several opposition party members have called for the police or an independent inquiry to take on the case. In seven months, Trudeau faces an election. How did he get here, and what’s going on? At the center of Trudeau’s political woes is SNC-Lavalin, a multinational engineering and construction firm based in Quebec. The company has been trailed for years by allegations of corruption, including in Bangladesh, India, Canada and Mexico, where the authorities once accused a consultant to SNC-Lavalin of involvement in a plot to smuggle Saadi Gadhafi, a son of the former Libyan dictator, out of his home country. The case that has ensnared Trudeau started in February 2015, when the Canadian authorities charged SNC-Lavalin with paying 47.7 million Canadian dollars ($35.8 million) in bribes to officials in Libya to win contracts there, and of defrauding the Libyan government of 129.8 million Canadian dollars. Should SNC-Lavalin be convicted, it could be barred from federal government contracts for a decade, potentially crippling its business and eliminating many Canadian jobs. The company has successfully lobbied for changes to criminal law that would allow it to pay a large fine, as companies can do in “remediation agreements” in Britain and the United States. Trudeau’s first justice minister and attorney general, Jody Wilson-Raybould, inherited oversight of the case after his inauguration in November 2015. Her appointment to the post was hailed by many Canadians as a sign of Trudeau’s commitment to indigenous and women’s rights. Wilson-Raybould is a former indigenous leader, and the appointment made her a member of Canada’s first gender-balanced Cabinet. At some point, the relationship soured. In January 2019, Trudeau reassigned Wilson-Raybould from the Justice Department to Veterans Affairs, a post that she abruptly quit a few weeks later. In testimony to a parliamentary committee last month, Wilson-Raybould said that while she was justice minister, Trudeau and his aides used “political interference” and “veiled threats” to pressure her to settle the case against SNC-Lavalin. Despite the pressure she described, prosecutors have continued to pursue the company in court. But he has struggled to contain the political crisis. Following Wilson-Raybould, another member of Trudeau’s Cabinet, resigned, citing her “serious concerns” about the accusations of improper pressure. “There can be a cost to acting on one’s principles, but there is a bigger cost to abandoning them,” the minister, Jane Philpott, said in her resignation letter. The justice committee in Canada’s House of Commons conducted a hearing with Wilson-Raybould, and will question other people involved. But Trudeau’s Liberal Party controls the panel, making it unlikely to do the prime minister much harm. Canada’s parliamentary ethics commissioner has opened an investigation, though by law he can look only for possible conflicts of interest. The leader of the opposition Conservative Party has called for an investigation by the Royal Canadian Mounted Police, whose policy prevents it from saying whether the force has begun an investigation. Several opposition parties have called for an independent special commission, which could create damaging hearings for the Liberals during the election season. 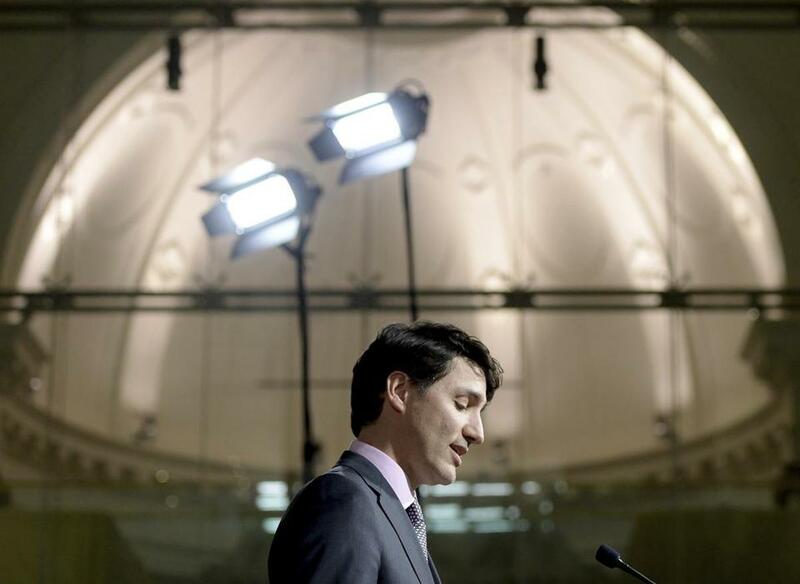 The political potential of all this has not been lost on Trudeau’s opponents. They have seized on the case to portray the prime minister — a self-described feminist, supporter of indigenous people and advocate of transparent government — as a leader who sent his aides to bully an indigenous woman in order to help a corporation dodge a criminal conviction in a corruption case. Canada’s federal election is not until October, however, and analysts said the result will depend in large part on what happens next: whether Trudeau can defuse the scandal and the inquiries around it; how successfully his opponents can tar his reputation; and what happens with the SNC-Lavalin case.